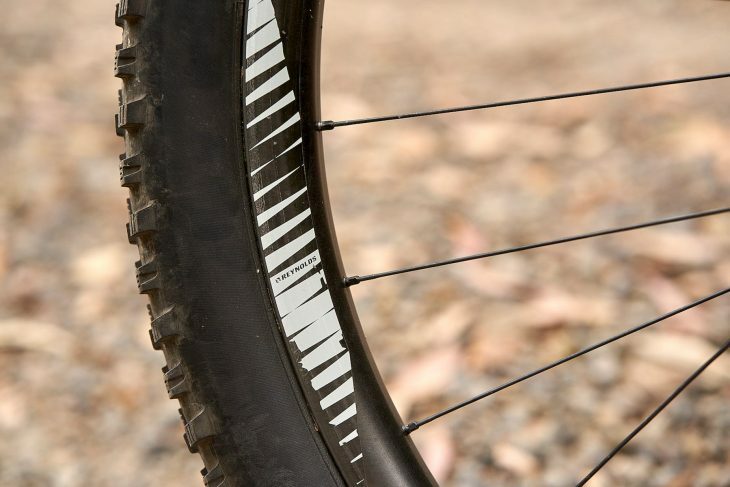 It’s been quite a few years since we last saw a carbon fibre trail bike from Canyon. In fact, it was 2014 when the Nerve CF was last kicking about – a rather marathon-ish, lightweight full susser that featured racy geometry, 120mm of travel, and 26in wheels. Thankfully, things have moved on just a wee bit since then, and that’s left Canyon’s range somewhat languishing without a high-end trail bike. Well, until now. Unveiled just before the end of 2018, the Neuron CF has arrived to take the mantle as Canyon’s brand new carbon fibre trail bike. 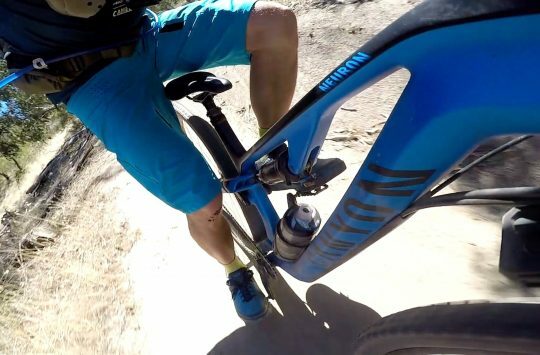 Plugging the gap between the Lux (Canyon’s 100mm travel XC racer) and the Spectral (the 150mm travel AM bike), the Neuron brings 130mm of bounce front and rear. 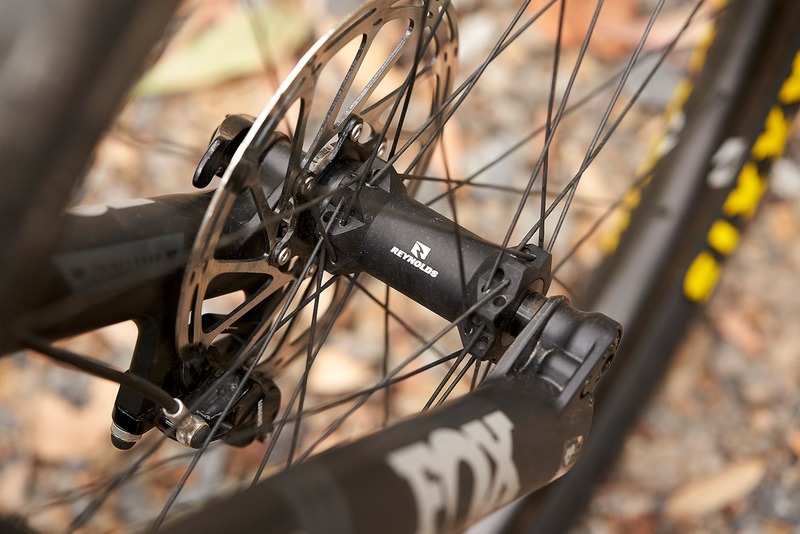 Depending on frame size, it’s built around either 29in wheels (M/L/XL) or 27.5in wheels (XS/S). The Neuron CF is an all-new platform for Canyon. All photos shot by Timothy Arch. 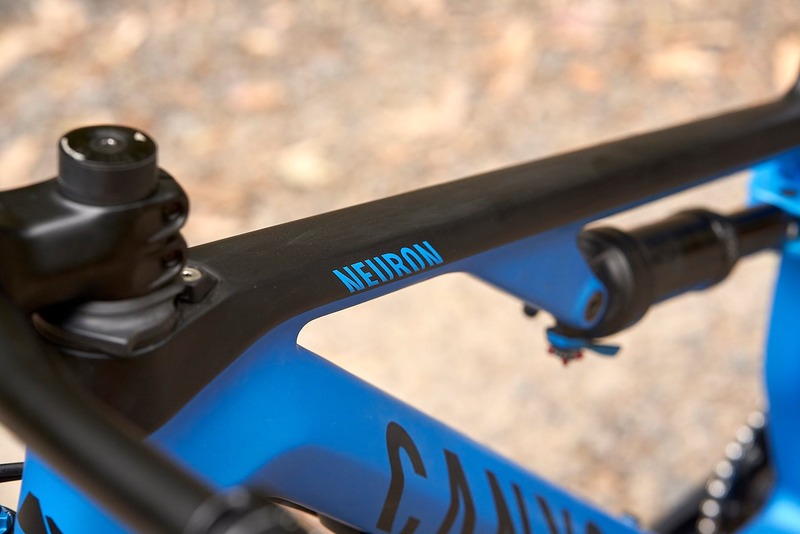 Canyon offers both full-alloy (AL) and full-carbon (CF) versions of the Neuron. Both are new for 2019, though the alloy frame is more of a refresh, and carries over the existing frame shape and suspension platform from the pre-2019 model. Of note is that the 2019 Neuron AL shares almost identical geometry to the Neuron CF, and we’re told that the suspension leverage rate is very similar too. It’s the smooth, plastic-fantastic frame that we’ve got on test here though, and this particular model – the CF 9.0 SL – sits right in the middle of the five-bike range, which starts off with the CF 8.0 (£2,449 / $3,949 AUD) and peaks with the 9.0 LTD (£5,099 / $8,149 AUD). There are also two women’s models that utilise the same frame, but are spec’d with a lighter suspension tune, narrower bars, a shorter 50mm stem, and a women’s saddle. There’s 130mm of travel at both ends, and either 29in or 27.5in wheels. Canyon’s marketing tagline for the Neuron CF is ‘All You Need’. That’s not entirely the truth, because you will require pedals to ride this bike. For best results, I would also recommend shoes, a helmet, and a positive, can-do attitude. 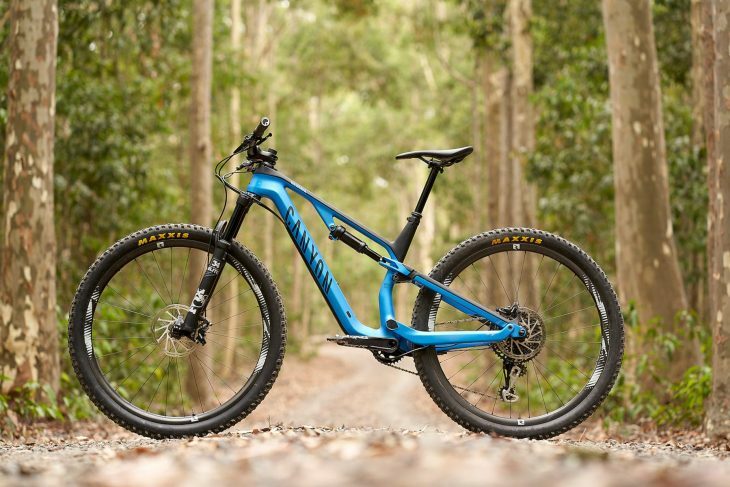 In all seriousness though, I believe Canyon is referring to the fact that the Neuron CF is simply meant to be a good ol’ fashioned trail bike – something that pedals efficiently, and goes up ze hills equally as well as it goes down. Indeed a quick look at the numbers will reveal that this is not the slacked-out, trail-blazing, genre-bending, adrenaline junkie from a 50to01 video. No, the focus here is much more on endurance riding, over enduro racing. The Neuron CF wants to be more Friends rather than Jackass. Now I’d normally be down with that, but I have previously tested an alloy Neuron, back when it was still called the Nerve AL. It had a nice black anodized frame and it was spec’d smartly for the price. Unfortunately I was left completely underwhelmed by the rear suspension. Unless you pumped the rear shock up to the wazoo, it had a habit of blowing through the travel, resulting in a spectacular bottom-out on even the smallest of landings. It seriously let the whole bike down. It seemed I wasn’t only the one either, as you’ll read in Antony’s review of the 2017 Neuron AL. The Neuron AL will carry over the existing suspension design and frame layout. Given our prior experience, I was curious to see how the latest carbon fibre version would compare. 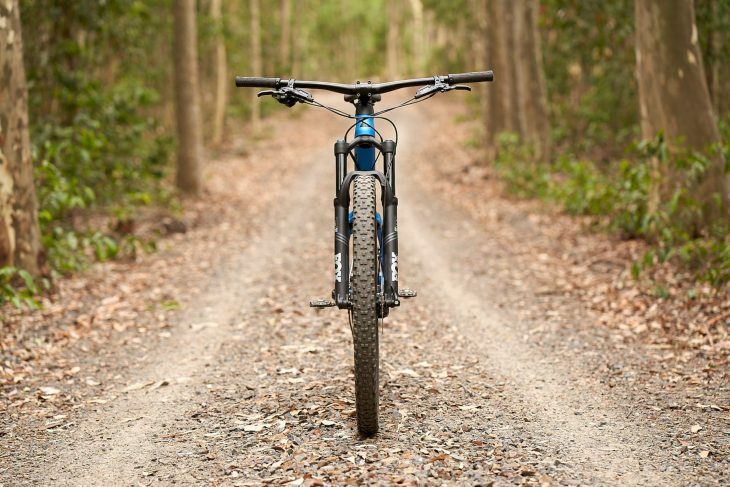 Would it remain an exclusively wheels-on-the-ground, slightly heavy, longer-legged XC bike? Or would I notice a noticeable improvement from the sprightly, versatile trail bike Canyon has promised us? The 2019 Canyon Neuron CF 9.0 SL sits in the middle of a 5-model lineup. Let’s not beat around the bush – this is one very good looking bicycle. With its matte paint job, full carbon fibre frame, and the neatly integrated composite shock yoke, the Neuron CF is uber clean. Its dashing looks have certainly proven enough to warrant inquisition on every single group ride I’ve been on with it. At a claimed 2920g with the rear shock (Medium size), the carbon frame isn’t as light as I was expecting. Compare that to Canyon’s Lux SLX frameset, which purportedly weighs a lithe 2128g. Aside from the flattened top tube though, everything is pretty chunky and oversized. 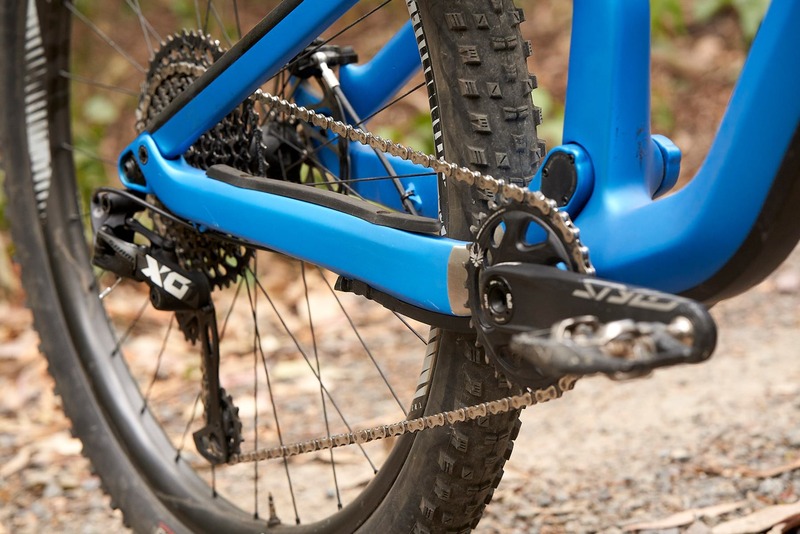 Big boxy chainstays are bridged for strength and stiffness. There’s a plump tapered head tube, a huge hexagonal downtube, and the boxy chain and seatstays are both bridged for added rigidity. Given the, err, Rubenesque shape and attention to detail, I’d suggest this is a frame made for the long haul. All the bearings are fully sealed, with the drive-side main pivot featuring dual-row bearings, and each pivot capped with plastic covers to keep crap out in the first place. Having removed a few of the pivot bolts out of curiosity, I was impressed to find them adequately greased, with the threads prepped with Loctite too. With the new Triple Phase Suspension layout, Canyon has flipped up the rear shock, which now mounts underneath the top tube. This allows for decent standover clearance, while still providing room for a water bottle inside the mainframe. 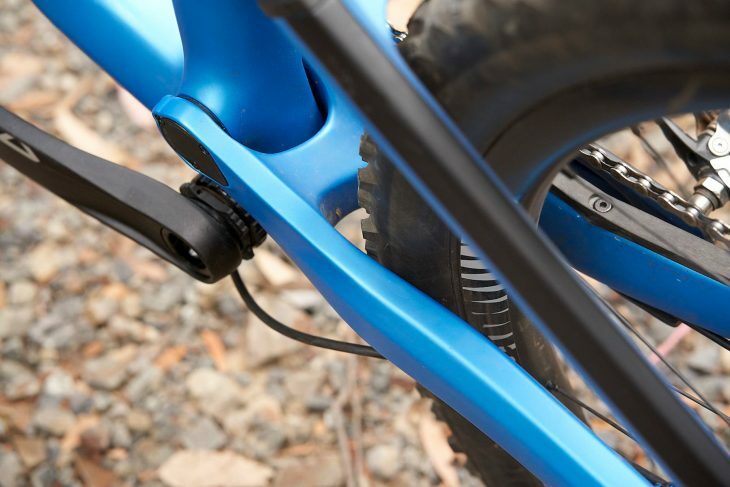 Other practicalities include a threaded bottom bracket shell (unlike the press-fit shell the carbon Spectral and Lux frames use) and the now-familiar IPU headset, which prevents over-rotation of the bars, while providing a greater range of movement than Trek’s Knock Block design. The cutely-named Quixle thru-axle combines bolt-up cleanliness with a concealed pop-out lever at the rear dropouts, though it does need cranking up pretty tight to stop it from working loose while riding. 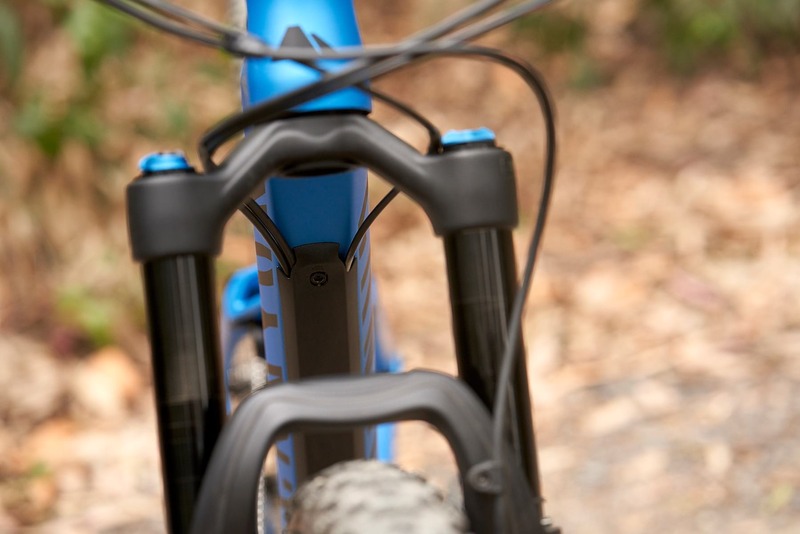 The simple IPU doesn’t interference with steering on the trail. Quixle lever slides back inside the axle for a clean look. Canyon earns a vivacious high-five from me for the clever cable tunnel underneath the downtube, which uses bolt-on plastic plates to both hide and protect the cables without having to resort to routing them inside the frame itself. Genius right? Unfortunately the solitary mech cable does flap about a bit at the entry point though, and combined with some occasional chain slap on the chainstay cable guide, the Neuron CF doesn’t quite live up to its stealthy looks on the trail. The bolt-on plastic belly armour captures the cables. Though not the priciest option, the CF 9.0 SL still comes dressed with a schmick outfit. 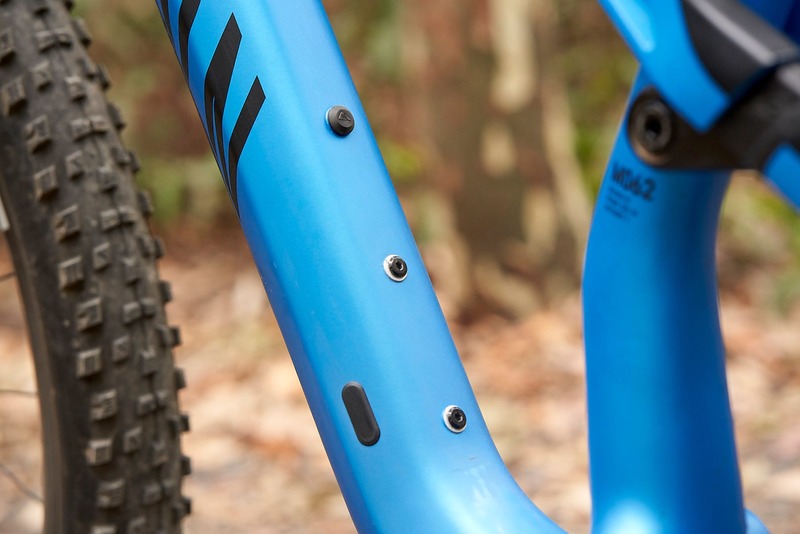 The Fox suspension and dropper post package complement the swish frame, with shiny black stanchions and, more importantly, high-tech internals all-round. Reynolds TR 309 wheels are a strong spec choice at this price point. The carbon wheelset is built with straight-pull spokes, sealed bearing hubs, and a 4-pawl freehub mechanism with 36 engagement points. Confirmed weight is a reasonable 1803g, and the 30mm internal width provides a good platform for the tubeless Maxxis Forekaster tyres. Reynolds TR309 wheels feature on the 9.0 SL. The 30mm wide (internal) carbon rims proved solid throughout testing. The 1×12 SRAM drivetrain is tarted up with an X01 mech and the excellent X01 trigger shifter, which possesses lovely, smooth paddles that have been a welcome change from the GX Eagle shifters I’ve been using lately. On the note of gears, it turns out the Neuron CF will actually fit a front derailleur. The CF 9.0 actually comes with a 2×11 drivetrain as stock, but any Neuron CF frame can have a mech bolted onto a special bracket via the main pivot. I mention this 2x compatibility, because chainring and tyre clearance are a bit limited. 32t is the biggest 1x chainring you can run (38/28t for a 2x setup), and Canyon states an official limit of 2.4in for the rear tyre. More bolt-on armour for the chainstay. I was able to just fit in a 2.6in wide Maxxis Rekon tyre, though I personally wouldn’t recommend it, particularly for muddy conditions. 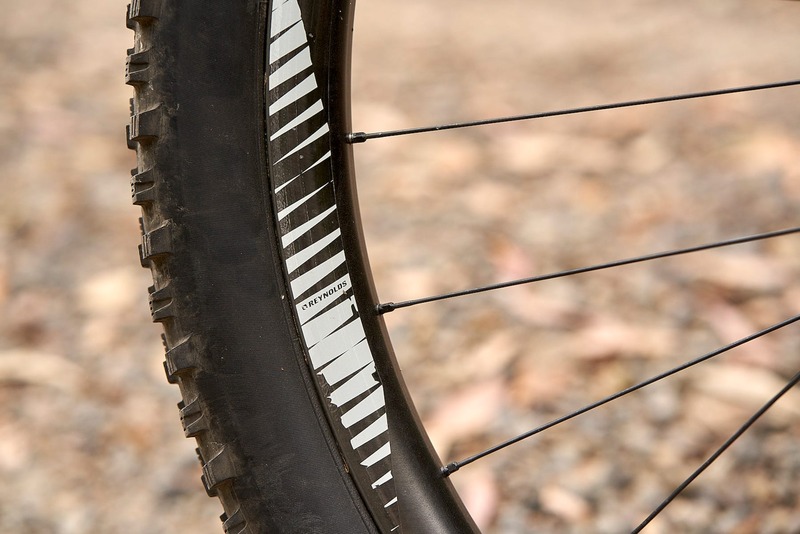 Given the emerging popularity of big volume 2.5-2.6in tyres in the trail bike arena, this lack of clearance seems like a missed opportunity on Canyon’s behalf. I have purchased this bike and it should come to me next month, i see your video…good review and i think that i choose good one. I have some questions for you. You mentioned that Reynolds wheels come tubeless ready from stock but from Canyon support told me that there are tubes inside rims and there is no separate tubeless valves. True or…? 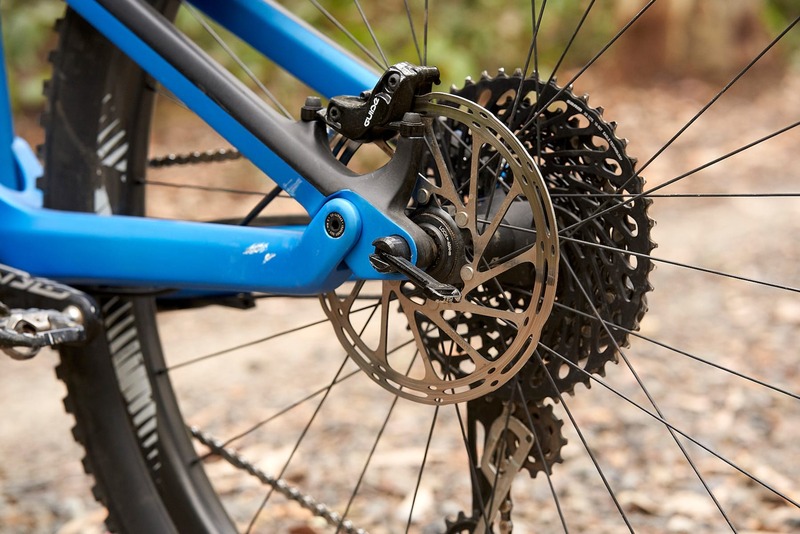 I think that most weakness component on bike are Sram Guide R brakes and i will probability changed them whit Magura’s MT5, what do you think…in many reviews they are very good brakes in affordable price. I also see that you change CTD lever on rear shock can you tell me the Kit number from Fox for replacing. Hi Wil, many thanks for the detailed and comprehensive review. 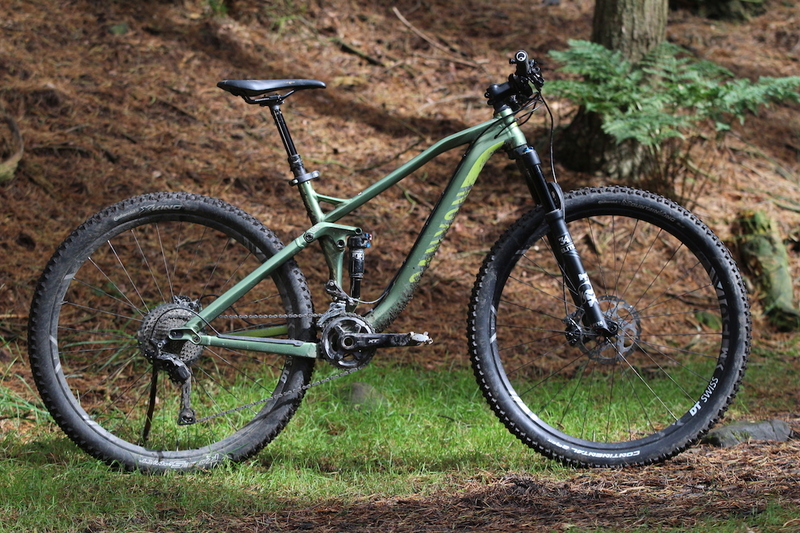 I currently ride a 2012 Specialized hardtail 29er and I’m in the market for a ‘fun, easy to ride’ full suspension 29er trail bike (budget circa £2.5K) and the Canyon Neuron CF 8.0 is on the list. How does the Neuron compare with a bike such as the much-praised aluminium-framed YT Jeffsy 29 (which has very similar dimensions and geometry) and/or the new Cannondale Habit 29? @kilibili – Thanks mate, and glad you liked the review and the video! In regards to the Reynolds wheels, the wheels are definitely tubeless ready, and our test bike came setup tubeless with tape and valves already installed. Regardless, I’d recommend going off whatever Canyon support has told you directly. I find it weird that a bike with tubeless compatible wheels and tyres wouldn’t come with valves – even if the bike comes fitted with tubes from the factory. 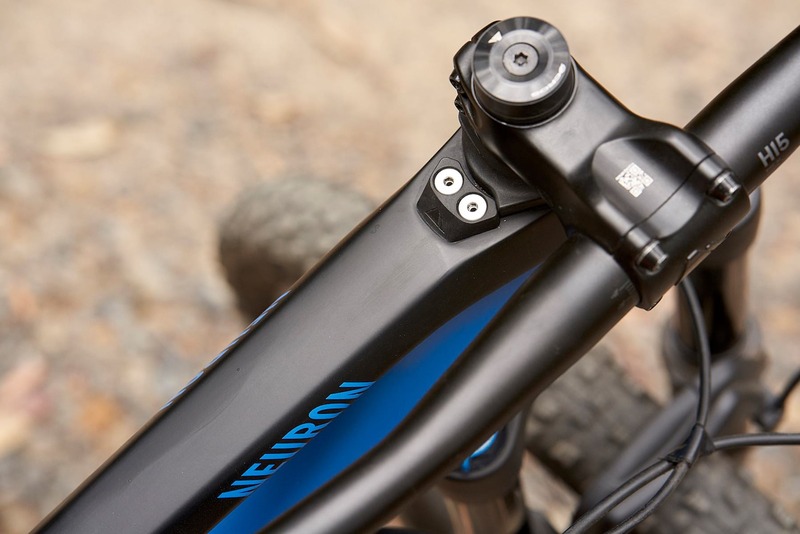 Previous Canyon MTBs we’ve tested have come supplied with valves in the box, but perhaps this has changed. As for the brakes, the Guide Rs certainly aren’t my favourite, but aside from the lever throw issues, they’ve not been terrible. I don’t have a lot of experience with Magura MT5 brakes, but I hear they’re super powerful. And my apologies, but I don’t have a part number for you on the rear shock compression lever assembly. That should be pretty easy to source through your local Fox dealer though – it’s basically a DPS Factory Series compression lever assembly. @marksparkle – My pleasure mate – cheers for reading and for the feedback! Good question regarding the Neuron vs Jeffsy. I’ve not ridden the alloy Jeffsy, so I can’t make a direct comparison as to the ride quality. That said, there are a couple of key differences. For a start, the Jeffsy has more travel at 140/140mm travel (vs 130/130mm on the Neuron). It also has much more aggressive 2.4in Minion DHR II tyres, along with a shorter stem and wider bars. The geometry and suspension also lean more towards descending and rough terrain control. Personally, I see the YT Jeffsy as being more comparable with the Canyon Spectral, rather than the Neuron. Likewise I’ve not ridden the Cannondale Habit. Chipps went on the launch and thought it was a great bike. 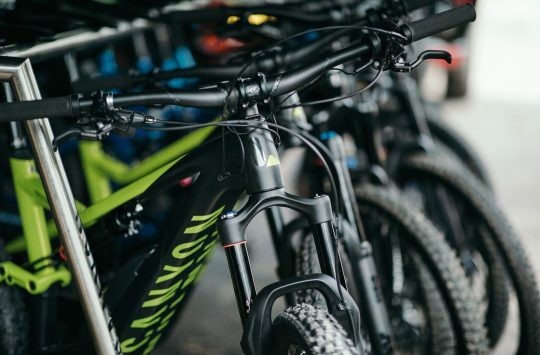 I’m waiting to get my hands on one to test, as it’s a trail bike I’d love to try out, and I’ll be very interested to see how it compares to the Neuron CF, as well as the Giant Trance 29 and Merida One-Twenty I’m currently testing at the moment. @reader99 – For sure! 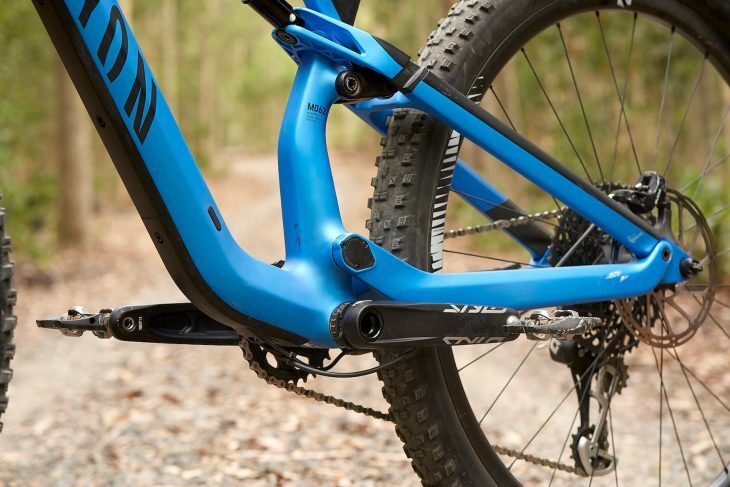 There are actually a couple of references to the Fuel EX and Giant Trance 29 in the review above – did you see those? 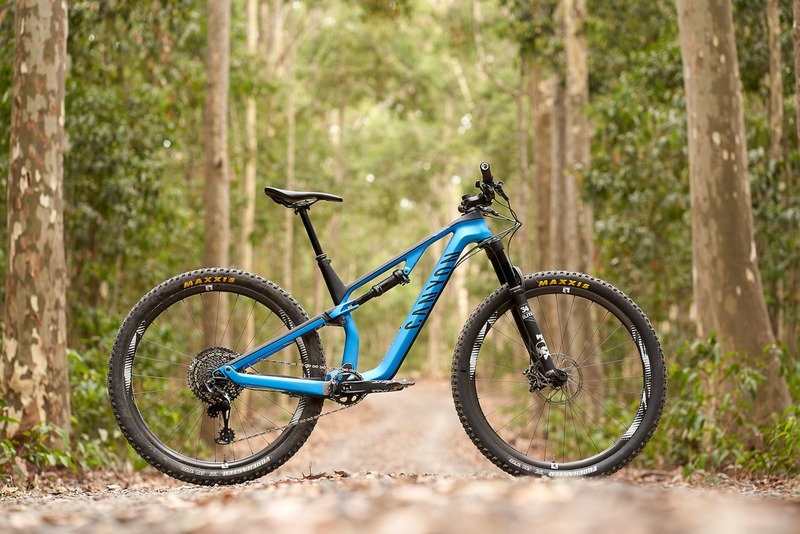 The Fuel EX is an interesting comparison, since it’s also a 130/130mm 29er like the Canyon Neuron CF. However, the ride quality between the two bikes is quite different. In my experience, that largely comes down to the suspension performance. The Fuel EX is much plusher and much more active on rough terrain, and the Full Floater linkage gives it a deeper and more bottomless feel. The flipside is that it doesn’t have the same efficiency or responsiveness through the pedals that the Neuron has. 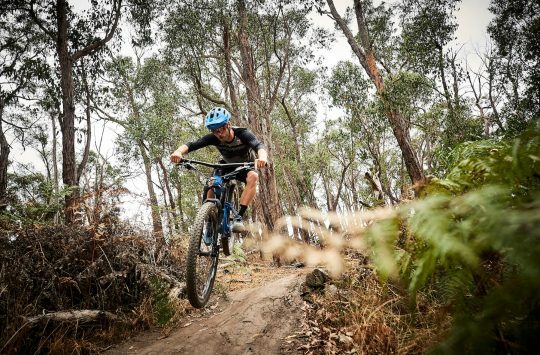 Efficiency can be boosted by toggling the compression lever on the rear shock, and the RE:aktiv damper means the Trail and Firm settings on the shock are very usable while riding off-road. That said, it still doesn’t have the same drive that the Neuron has, which feels more like a long-legged XC bike, than the plush aggro trail bike that the Fuel EX is. 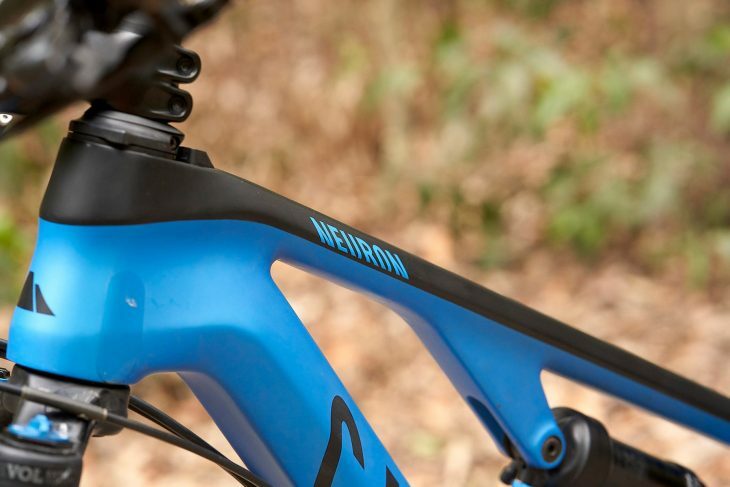 For long fireroad climbs, the Neuron will get you to the top faster and with less effort. The geometry isn’t hugely different between the two bikes, though one thing to note is that Trek offers the Fuel EX in five sizes: 15.5, 17.5, 18.5, 19.5, and 21.5. Being a Medium in most brands, I actually have the choice of riding the 17.5 or the 18.5 in the Fuel EX. Compared to the Medium Neuron, the 18.5 Fuel EX is notably longer in its reach (450mm vs 433mm), which pushes the front wheel out a bit further. That, combined with the plush and active suspension, without doubt makes the Fuel EX the better technical descender of the two. Hope that helps, but just shout out if you’ve got any more questions mate!